directly from the manufacturer Weber! Furnish our mobile 2 two wheel and 4 wheel waste container with high-quality special equipment for your individual demands. Various options are at your disposal to adapt the standard features of the wheeled bin, for a surcharge, to any special application. We have a wide selection of special equipment for our mobile garbage bin. We simplify the disposal of glass or paper through drop-in openings. 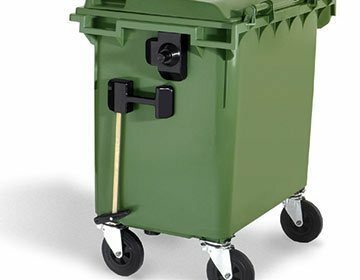 Locking systems protect your mobile wheeled dustbin against unauthorised use and drop-in. 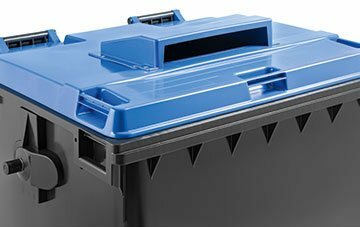 Corpus or lid embossing customises your wheeled bin, well visibly, with city arms, logo or information. Reduce the noise development when opening and closing the mobile recycling container by applying noise insulation to the lid. 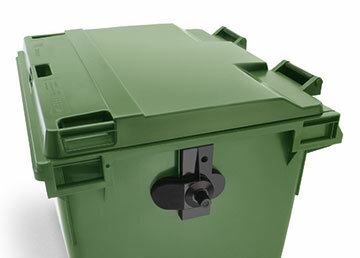 Our mobile waste container from plastic contains a chipnest as standard feature to accommodate transponders. 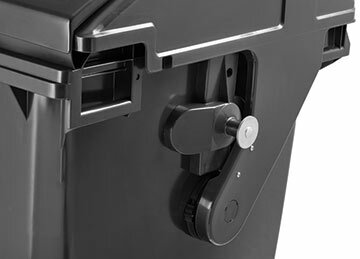 Our mobile garbage bin can be emptied via a rugged, stepped ridge receiver. 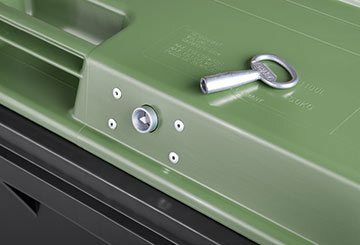 Optionally, our 4 four wheel mobile recycling container can be prepared with lateral pick-up studs for tipping according to EN 1501-5. 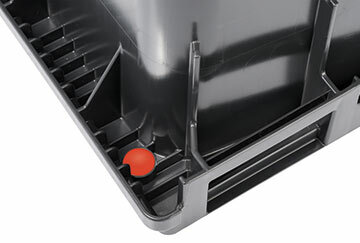 To simplify manoeuvring the wheelie bin we recommend lateral pick-up studs. An undercarriage with central stop is already fitted with these studs. Our 4 four wheel wheeled bin is equipped with a wheel stop system as standard feature. Pulling equipment allows transporting several 4 four wheel mobile waste container coupled together at the same time. 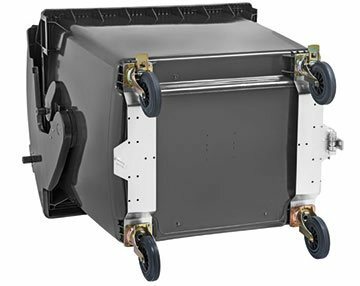 Different wheel versions ensure that your wheeled bin is able to transport also heavy loads effortlessly; or they do not leave any traces on the indoor floor covering. 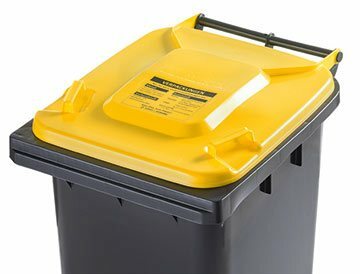 Special equipment supplements your domestic waste bin to optimally prepare them for diverse requirements. Wheeled bin accessories! 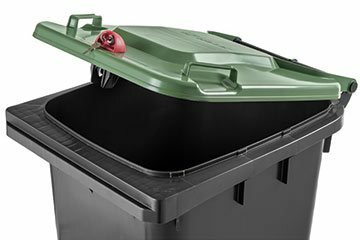 Purchase special equipment for your wheelie bin directly from the manufacturer Weber. Order here your wheeled bin options! 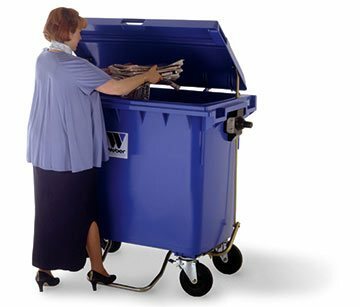 Learn more about the different options of wheeled bins on our product pages! Visit our new online wheeled bin shop! | wheeled bin overview: 60, 80, 120, 140, 180, 240, 360, 660, 770, 1100 ltr.